Warm weather need not frustrate red wine drinkers. To be sure, popular red wines like cabernet sauvignon, zinfandel and merlot are often too heavy to be equally refreshing and enlivening during the summer, but there are plenty of alternatives worth considering. We spoke with André Hueston Mack, sommelier at large and maker of Mouton Noir Wines in Oregon, for advice on summer red wines. In the early 2000s, Mack walked away from a successful career at Citicorp Investment Services to head into the wine world. In 2003 he was the first African American named “Best Young Sommelier” by Chaine des Rotisseurs, an esteemed Paris-based gastronomic society. The recognition enabled him to join the sommelier team at Thomas Keller’s French Laundry in California’s Napa Valley; it is widely regarded as one of America’s best restaurants. When Keller opened Per Se in New York City, Mack, 42, traveled east to head the wine team and choose an award-winning list of 2,500 selections for the four-star restaurant. In 2007 he left the restaurant world to become a winemaker, opening his own Mouton Noir company. Mouton Noir has become a well-respected producer of red and white wines, and with wine names like XL and O.P.P (Other People’s Pinot), there’s no doubt where the winemaker is coming from. His wines are typically found at smaller wine shops, where there are salespeople who are passionate about wine; those are the best places to shop for vino. 1. Pinot Noir: The light savory red was practically a co-star in the movie Sideways. It attracts obsessive devotion, for good reason. The wine is renowned for its aromas of strawberries, raspberries and black cherries, plus a long delicate finish. Some of the better-known brands include Benton Lane from Oregon, Banshee from California and Jelu from Argentina. 2. Gamay: This light French wine, typically from Burgundy, is often used for the well-known autumn wine Beaujolais Nouveau. Gamay wines are light and appealing, with aromas and flavors reminiscent of cherries, dried fruit and black peppercorns. Some of the better ones include Grosjean Freres from Northern Italy and Thierry Puzelat’s Le Telquel from France. 3. Tempranillo: This Spanish wine is made from a grape that was once thought to be a relative of the pinot noir grape. Tempranillo is the grape often blended to make Rioja, but on its own it creates wines that are dry and lean. The Rodei Tinto Rioja is an excellent representation of this grape, as is the Cerro Anon Reserva. 4. 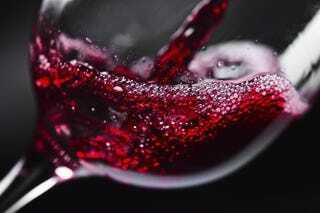 Nebbiolo: This especially aromatic wine comes from a grape grown almost exclusively in the Piedmont region of Italy. It is the grape used in richer wines like Barolo, but it is also used to make lighter, refreshing ones, too. De Forville and Gia by Gia Coppola are two leading vineyards. 5. Wines made from the sangiovese grapes from Tuscany: It's the grape found in Chianti and several other renowned Italian red wines. Wines made from this grape typically balance spiciness with big fruity flavors. The Chianti Colli Senesi and the Monte Bernardi are two excellent brands for this style.